Welcome to Week 111 of Three Line Tales. 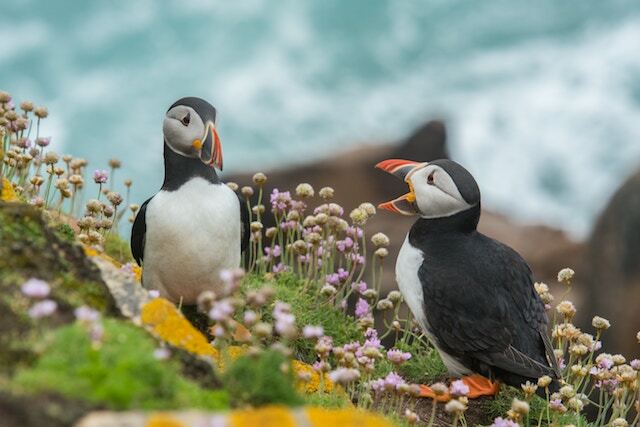 The facial expressions of those two puffins are priceless! Pingback: Three Line Tales – the one that got away – Dutch goes the Photo! Pingback: Party time – ….Bilocalalia…. I love the prompt this week. Who doesn’t like puffins? Pingback: cigarette break | Does writing excuse watching? One puffin’ its chest to say the day.